According to research approximately one million people in the UK would like to build their own home. The unique opportunity to design a house that suits your needs is obviously very appealing. Perhaps you already have a plot of land to build on, perhaps your idea is to demolish your existing home and rebuild from scratch. Whatever your ideal - MAS Design Consultants have been involved with many new home projects and we would be delighted to help with yours. This three bedroom detached house is located on a former side garden. The property has been designed to provide a modest space for the size of the plot. An impressive four bedroom property with associated detached garage. The house was built on the plot of a former Bungalow in Menston. 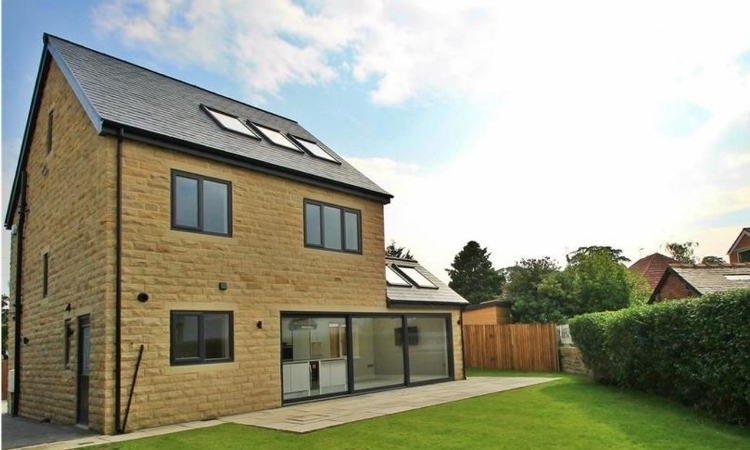 This project involved the demolition of a large, dated bungalow to build this striking, five-bedroom, detached family home in a much sought after area of Menston. Formerly the site of a large, dated bungalow, this modern three bedroom house was built in 2017 after the original property was demolished. A stunning family home with open plan living and contemporary elements. This property was built in the side garden of an existing home. Planning consent was gained and our client sold the plot to a local developer for £165,000. A very profitable project for the owners! This property was built on the former site of a joiners workshop located in a semi-rural setting next to Addingham Parish Church. A lovely stone-built house which blends well with the local style.